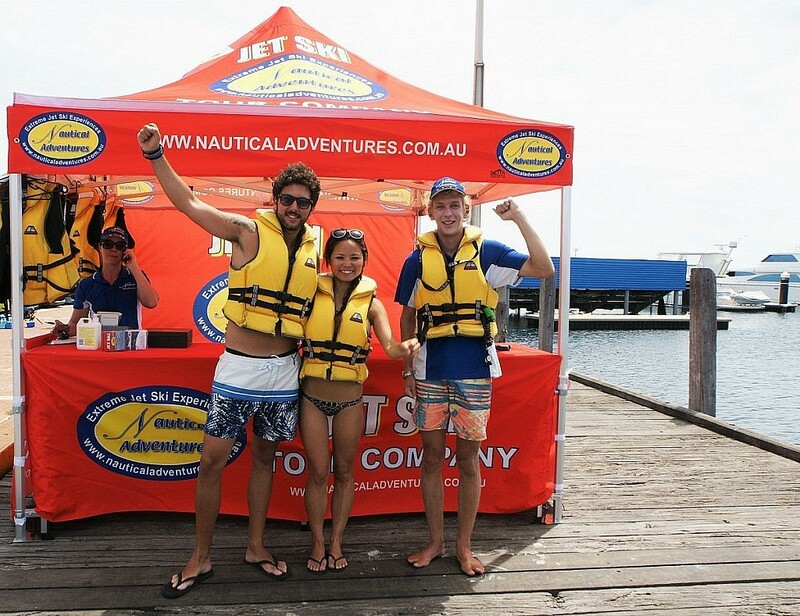 Nautical Adventures is a locally owned & operated business and ‘THE ONLY’ jet ski tour company in Western Australian to offer open Indian Ocean Jet skiing, with 10 years of successful operation in Mandurah and now with a second location at Hillarys Boat Harbour. 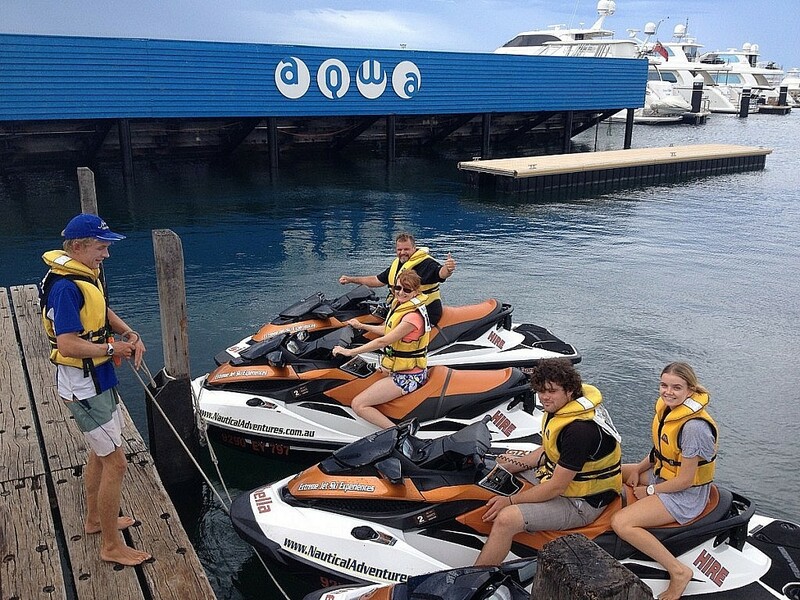 Our fully certified and experienced tour guides ensure your safety, their goal is to maximise the fun factor on our jet skis whilst showcasing the spectacular WA water ways. Tours depart Hillarys and Mandurah Friday – Tuesday. This is a ‘BLAST’ of jet skiing fun! The tour travels through the Marmion Marine Park and heads out into the rolling swells of the Indian Ocean. The tour picks up pace dramatically and you find yourself bounding through the waves and swell of the Indian Ocean with spectacular scenery along the Hillarys coastline. $145 per person = 1 x Jet ski, Double rider. $250 per person = 1 x Jet ski, Single rider. ‘AMAZING ‘Flat water estuary jet skiing, into one of Australia’s largest inland waterways, the Peel/Harvey Estuary. Navigating through an S-Bend of channel markers, you will have the opportunity to spot unique marine life such as bottle nosed dolphins which inhabit the pristine Mandurah waters. $140 per person = 1 x jet ski, Double rider. $220 per person = 1 x jet ski, Single rider. This is some ‘EXTREME’ Jet Skiing FUN. Your Goal is to circumnavigate the Mandurah Island. 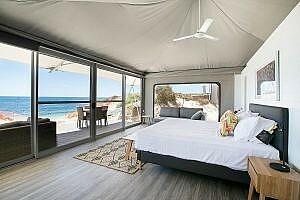 The tour picks up pace and you find yourself bounding through the waves and swells of the Indian Ocean with sights of the spectacular Mandurah coastline. The mood changes as you reach the mouth of the Mandurah inlet. 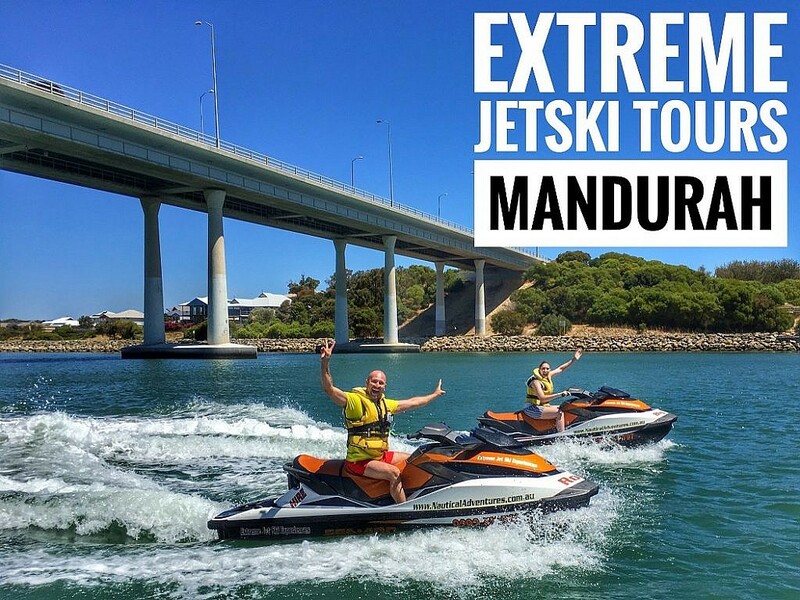 Here the tour allows you to take in the sights and marvel at the changing scenery, passing under the old and new Mandurah bridges before finishing with flat water skiing through the Peel Estuary. $200 per person = 1x Jet Ski, Double rider. $320 per person = 1x Jet Ski, Single rider. Customer Contact number (mobile) must be supplied when making a booking. 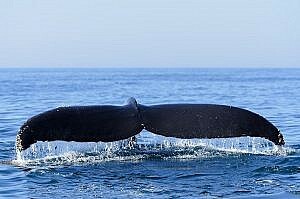 Cancellation Policy: Nautical Adventures has a 48hr cancellation policy, if for whatever reason you cannot make the date booked and you contact us a minimum of 48hrs prior to your booking time we will happily reschedule your tour, for cancellations inside 48hrs, all deposits will be forfeited due to high demand for bookings. Rescheduling: Over 7 workings days prior to the event: No charge, 7 to 1 days until the event: $30 per participant fee to change the experience date and time.